Spring migration is in full swing which means there will be a lot of great birds to see if you spend a little time looking in any of our wonderful parks, on area greenways, and even in your own backyard. Get your binoculars out and your ears ready because the neo-tropical migrants will be passing through middle Tennessee on the way to their summer breeding areas. Warblers, vireos, tanagers, flycatchers, swallows, hummingbirds, and many other species are there for the viewing if you invest some time. Early in the morning, between 6 am and 10 am are typically best because many of these species travel at night then settle down in the mornings to feed and rest. For daily sightings reports you may want to subscribe to TN bird.org, or visit Tennessee Birding’s Facebook page. There are links to these sights on our website. At your seed feeders, around mid-April, expect to see the always popular Rose-breasted Grosbeaks and Indigo buntings. Most years the Grosbeaks can be seen for about a month before they move on to their breeding grounds, usually well north of us. 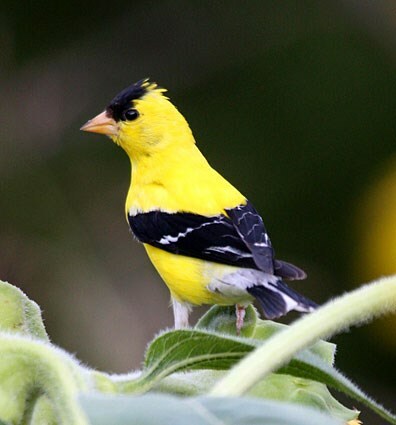 Of course American goldfinches are here in abundance year round but the males are beginning to put on their bright yellow spring plumage. Your feeders may have gotten a little slow of late as many of our local resident birds are spending much of their time courting and finding nest-sites. So now is a great time to give your feeders a little cleaning. Soon, though, feeders will explode with activity. As the breeding season progresses, many birds will take great advantage of feeders for a quick and easy food source. 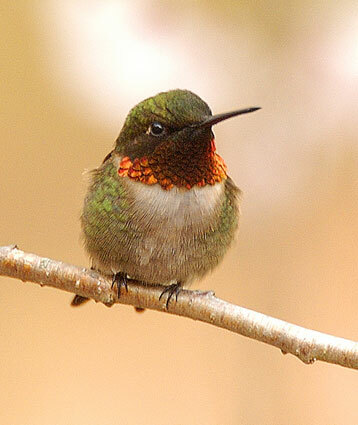 It is during this time birds expend a tremendous amount of energy so the feeders become very important to them. In my yard I will see suet consumption double during the spring months. Noting the size and shape of the bird, primary colors, stripes, streaks, spots, and anything particularly unique is key to identification. So, get out there and see some birds you haven’t seen before. Ø Binoculars are essential. You cannot see real detail on a bird without the magnification of a binocular. 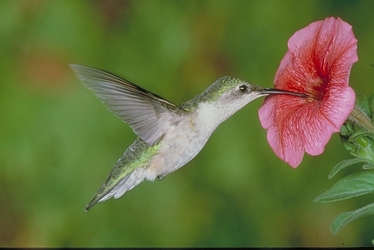 Ø Initially, spend less time looking in your field guide and more time looking at the bird. Committing to memory, or jotting down details should be first priority. Noting the size and shape of the bird, primary colors, stripes, streaks, spots, and anything particularly unique is key; beak shape, wing shape, and behaviors too. The type of habitat the bird is seen in is often overlooked by novices. The type of habitat can sometimes confirm or deny the type of bird being seen. Ø After that is when the field guide comes in handy. Instead of going through page by page, narrow down what family the bird is likely in based on the information from initial observation. So, get out there and see some birds you haven’t seen before. It’s fun, interesting, and it gets you moving outdoors. If you’re stumped by a bird you’ve seen come in and we’ll be glad to help you figure it out.